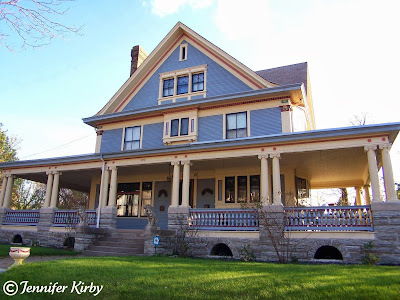 This beautiful Colonial Revival home was built in 1906 for Peter John by Buechner and Orth. Mr. John was a local shopkeeper and saloon merchant in the Dayton’s bluff area, later becoming a foreman at the Hamm’s Brewery. Louisa, his wife, was from the Hamm brewing family, her father being Theodore Hamm himself. 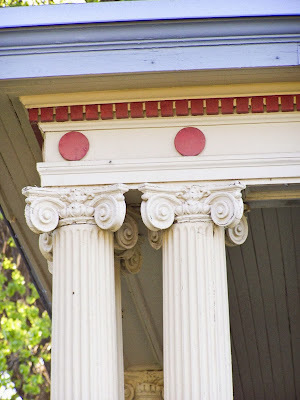 The home has beautiful architectural details, including the Ionic columns that support the wrap around porch and the limestone base. 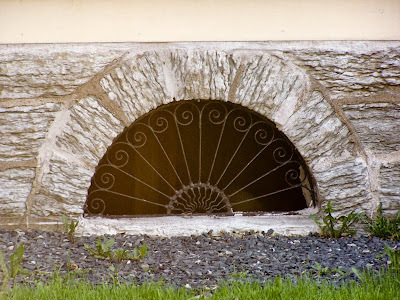 One of my favorite details is the basement arches with the original iron grating that looks like sun rays. This entry was posted on Monday, November 1st, 2010 at 3:49 pm	and is filed under Colonial Revival, St Paul Historic Homes. You can follow any responses to this entry through the RSS 2.0 feed. You can leave a response, or trackback from your own site.